Cloud images are operating system templates and every instance starts out as an identical clone of every other instance. It is the user data that gives every cloud instance its personality and cloud-init is the tool that applies user data to your instances automatically. While cloud-init started life in Ubuntu, it is now available for most major Linux and FreeBSD operating systems. For cloud image providers, then cloud-init handles many of the differences between cloud vendors automatically — for example, the official Ubuntu cloud images are identical across all public and private clouds. Browse and branch from Git. Browse, branch, fork or clone from GitHub. Download the officially released archives. Including datasource and module references, and plenty of examples. We have an active IRC community on #cloud-init — get involved! Ask questions and search for answers at StackExchange. Help us improve the software by flagging bugs and issues you find on Launchpad. cloud-init is developed and released as free software under both the GPLv3 open source license and Apache License version 2.0. It was originally designed for the Ubuntu distribution of Linux in Amazon EC2, but is now supported on many Linux and UNIX distributions in every major cloud. 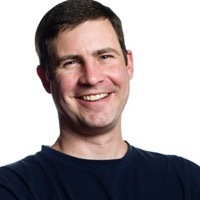 Scott is the primary author and active maintainer of cloud-init, and is a technical leader on the Ubuntu Server Team for Canonical. 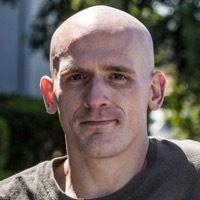 Joshua is an active maintainer of cloud-init, hacking on clouds for GoDaddy.